To celebrate the Irish holiday “St Patrick’s Day” (March 17), will be held also in Yokohama March 16, 2019 (Saturday). Even in Motomachi Yokohama has been held since 2004, we have established as an event that now tell the spring in Yokohama! Day of the event, Irish music flows in the town, three colors of balloons of green, white and orange with the image of a Flag of Ireland will welcome the people who visit the Motomachi street! 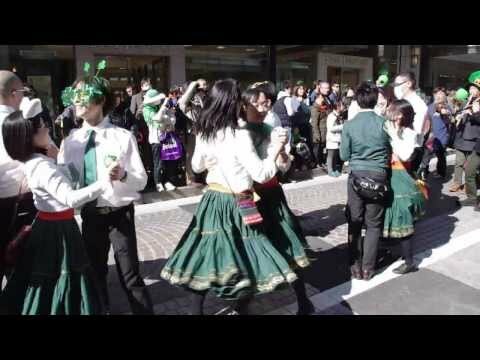 Pipe band to top the St. Patrick, march military band, Irish dance team, Irish Setter & wolfhound, such as the Motomachi shopping street pigeon word ring band! ※ “St Patrick’s Day” is, the United States, Canada, Australia, even in Ireland immigrants often countries such as New Zealand, has become a day to celebrate together by raising the toast to the Irish culture and traditions. Anyone festival lovers if there is interest in Irish culture is the day you can enjoy participating. ※videos is a thing of the past.